Municipal enterprise Voda Donbasu is ignoring a requirement of national energy company Ukrenergo to confirm the readiness of power units for safe disconnection and switching of subscribers to other sources of power supply. The press service of Ukrenergo said that its commission was not allowed to inspect power units, and the respective act was signed. On April 12, the company sent a new appeal to the municipal enterprise to present the confirmation of its readiness for the disconnection from power supply. 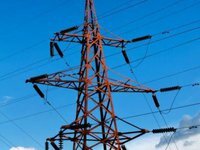 Ukrenergo said that the increase in the debt of Voda Donbasu for electricity supplied, exceeding UAH 2.4 billion, affects the entire power market. The absence of settling the problem of illegal consumption of electricity and the debts of the company will be a financial burden on wholesale market players. "We hope regional and central authorities to actively participate in solving the acutely social problems both in the interests of consumers and in order to avoid economic discrimination of players in the wholesale electricity market," the press service said.